Formula 1’s Monaco Grand Prix is legendary for good reason. 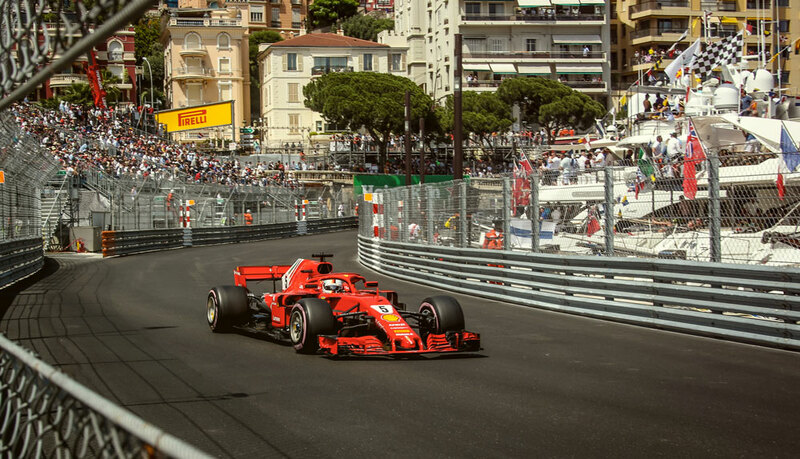 Not only for the thrilling battle of F1 drivers on the tight, unforgiving Circuit de Monaco but for the electrifying atmosphere and constant parties that simply can’t be beaten. It has to be experienced to be believed. 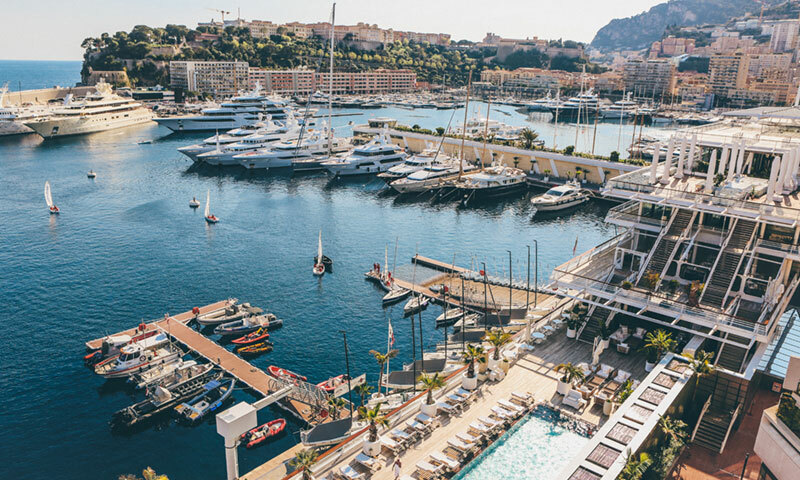 With excitement, invites and events around Monte-Carlo’s every corner, here’s Amber Lounge’s expert guide to making the most out of the 2019 Formula 1 Monaco Grand Prix. The shortest circuit of the season at only 3.340km, although the race continues for 78 laps, which is the most of all 2019 F1 races. Monaco Grand Prix requires around 6 weeks to set up the track and 3 weeks to remove it. This F1 Grand Prix part of the Triple Crown of Motorsport achievements; one of the world’s 3 most prestigious motor races that a driver can hope to win in their career. McLaren have led more laps of the Monaco Grand Prix than any other team, completing 916 laps in the lead. Michael Schumacher led more laps here than any other driver, with 435 laps. Ayrton Senna won the Monaco Grand Prix 6 times, more than any other driver. 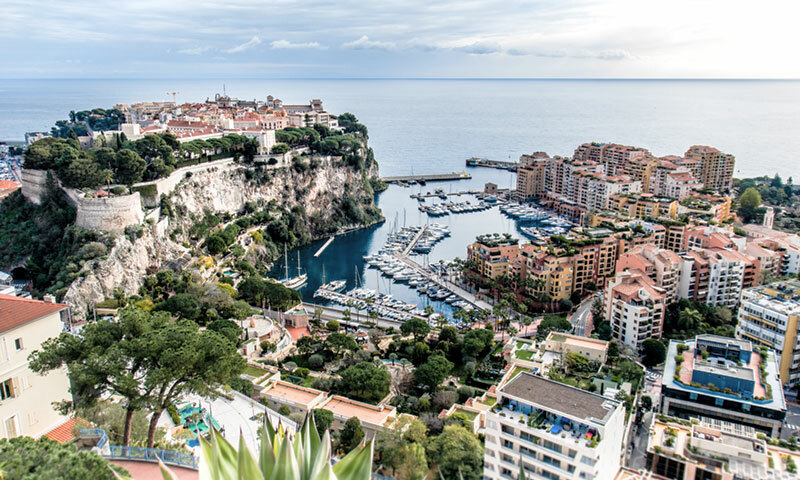 Monaco is the second smallest country in the world, after Vatican City, at 2.02 sq. km. It has the third most expensive real estate in the world. In 2015, almost 30% of the population of Monaco were millionaires; it has the world’s highest number of millionaires and billionaires per capita. Three James Bond films have been shot in the Monte-Carlo Casino. Monaco has the largest police force per capita in the world and is one of the safest countries in the world. The Monte Carlo Casino: A stunning, lavish Belle Epoque style casino and one of Monaco’s most famous attractions. The James Bond movie Casino Royale was filmed here. The Car Collection of H.S.H. the Prince of Monaco – Located on the Terrasses de Fontvieille. A unique collection of over 100 historic, luxury and racing cars. Juan Manuel Fangio memorial statue – a life-size bronze statue of the legendary five-time Formula 1 World Champion from the 1950s. Check it out at the famous Rascasse bend at pit-lane entrance. 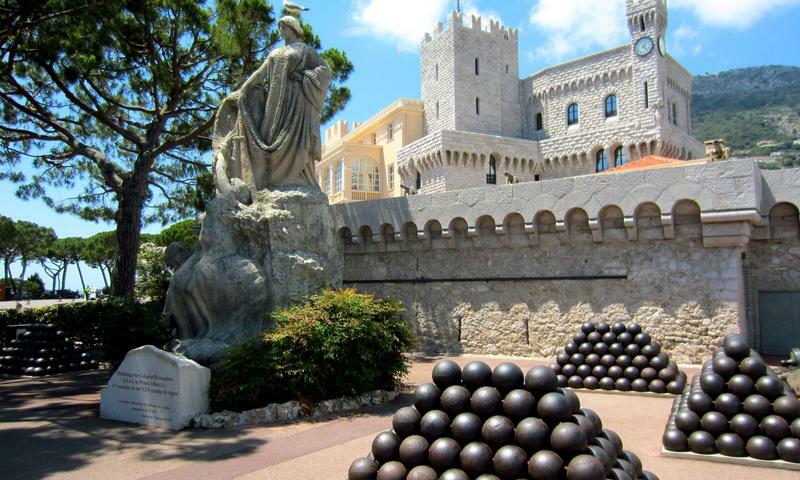 Prince’s Palace: the official residence of the Prince of Monaco within a fortress overlooking the Principality. It’s located in the historic centre which dates back to the 6th Century. Changing of the Guard is at 11.55am every day. Jardin Exotique: a unique botanical garden on one of the highest points of the Principality overlooking the city, opened to the public in 1933. You’ll also find here a stalactite and stalagmite cave along with an anthropology museum. Oceanographic museum: Highly recommended. Prince Albert I of Monaco, “the navigator prince”, had the Oceanographic Museum built with the collections of his explorations, and aquariums of the flora and wildlife. There are plenty of accommodation options in Monaco, Nice, Cap D’ail, Villefranche and their surrounding cities. Choose from hotels, apartments, villas and yacht cabins. 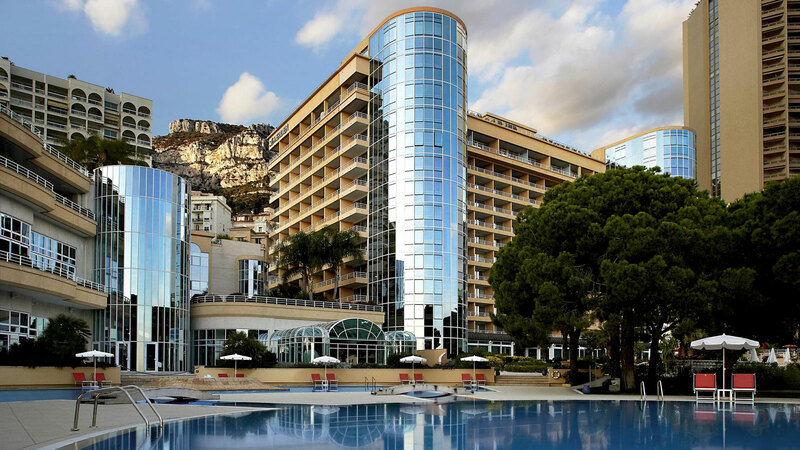 For Monaco Grand Prix week accommodation starts to get booked up to a year in advance. It’s recommended to make arrangements early and Amber Lounge can book all your luxury accommodation and transfers. Email hospitality@amber-lounge.com for more details. Amber Lounge of course! 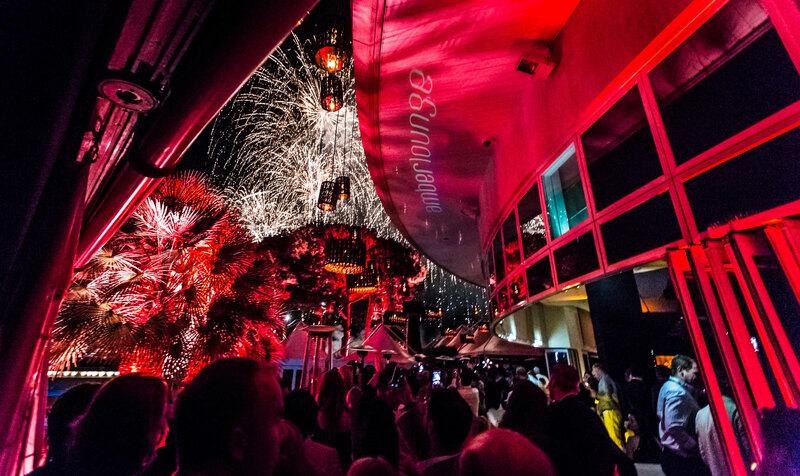 For over 16 years the iconic parties and experiences have become an essential part of the ultimate VIP Grand Prix weekend. Here you’ll find the most legendary, star-studded Grand Prix after parties, luxury yacht race viewing experiences, fine dining, unforgettable entertainment by famous international DJs and artists and a breath-taking Charity Fashion Show. Friday and Saturday nights celebrities, royalty and VIPs descend on the club while Sunday night sees the Formula 1 drivers, teams and A-listers put on their dancing shoes and join in the fun. 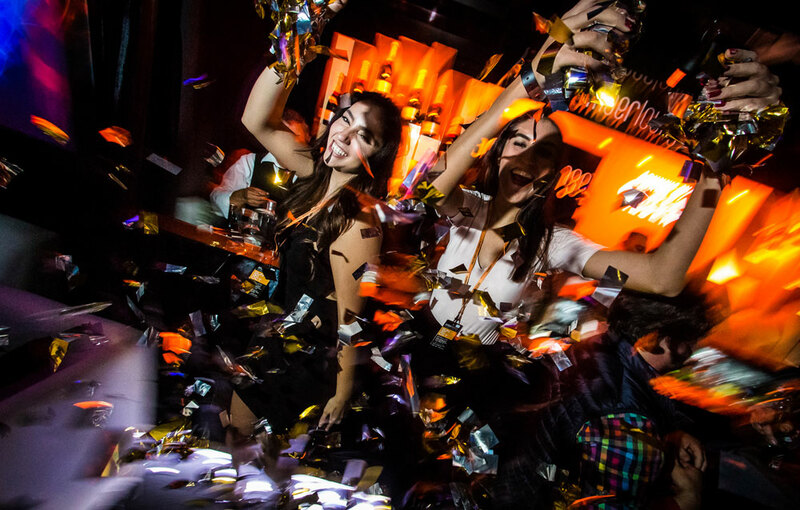 Lewis Hamilton, Sebastian Vettel, Daniel Ricciardo, Nico Hulkenberg, Carlos Sainz, Fernando Alonso, Nico Rosberg, Charles Leclerc, Pierre Gasly and Kimi Raikkonen have all partied at Amber Lounge over the years. Amber Lounge Monaco is the place to be during the Monaco Grand Prix. More information, tickets and table bookings HERE. It’s hard to beat trackside race viewing on a luxury yacht in Port Hercules. The electric atmosphere flows throughout the harbour and engulfs all your senses. You can smell the rubber, you’re as close to the Formula 1 cars as can be and the champagne is flowing all day long. Scope out the Amber Lounge Celebrity Yacht HERE. Watching the Monaco Grand Prix from a luxury terrace is another popular option. Some have a birds-eye view over Circuit de Monaco and allow you the freedom to host your own private party. Formula 1 and F1 Team Paddock Clubs give you the option to get up close and personal to the heart of F1 teams and drivers, with excellent fine dining and race viewing areas within the paddock area. Since Monacois particularly small, it is possible to reach every place in a short time by foot, although it’s tricky with all the road closures when the circuit is closed. During Monaco Grand Prix weekend, some roads are blocked and there is a lot of traffic. You can pre-book transfers with hospitality@amber-lounge.com who can arrange our trusted official private jet partner, GlobeAir, to take you from Nice airport to Monaco Heliport and back. By far the easiest and most relaxing way to get around is by chauffer. This takes all the stress away from getting to and from the track each day. Amber Lounge Hospitality can arrange this for you. Taxis can take you from any part of the city, close to the circuit but the traffic is usually heavy. If you’re coming from Nice or Menton, the journey time is 40 to 60 minutes approximately depending on traffic and the time of day you travel. Trains run regularly to Gare de Monaco (Monte Carlo Station), taking approximately 25 minutes from Nice. The circuit is only a few minutes’ walk from the station but note there can be train strikes during the week. Bus 100 is a cost-efficient way of travelling to the circuit from Nice. It departs from Nice, via Monaco, terminating in Menton (and vice versa). The bus runs every 15 minutes and takes about 50 minutes however this time can increase considerably over Monaco Grand Prix weekend. Book your tables and tickets to Amber Lounge Monaco HERE.